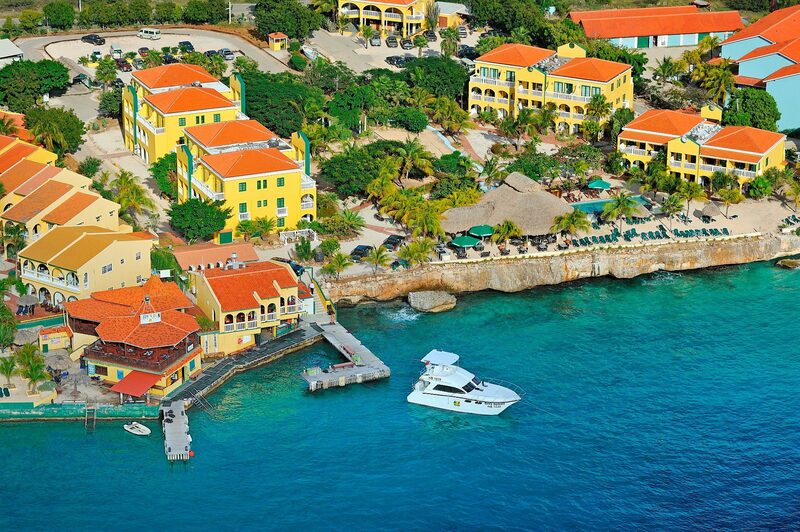 Bonaire is blessed with an unsurpassed natural beauty. From the pristine waters to Brandaris’s peak, Bonaire’s magic washed over me from the moment I arrived. Even while participating in extreme adventures, a peaceful ambiance filled my time on Bonaire. The island continues to reign supreme as the dive destination in the Caribbean, but that’s only the beginning; Bonaire offers culture, cuisine, and nature, both terrestrial and marine. With all those possibilities, it’s not a question if you should go, it’s just a matter of when. So where is the best place to stay to experience it all? At Buddy Dive Resort, you can DIVE DIVE DIVE, take part in a multitude of activities, or just sit back, relax and enjoy the atmosphere. You’ll be left famished and soaking up the views, flavors, and entertainment from Ingredients Restaurant. 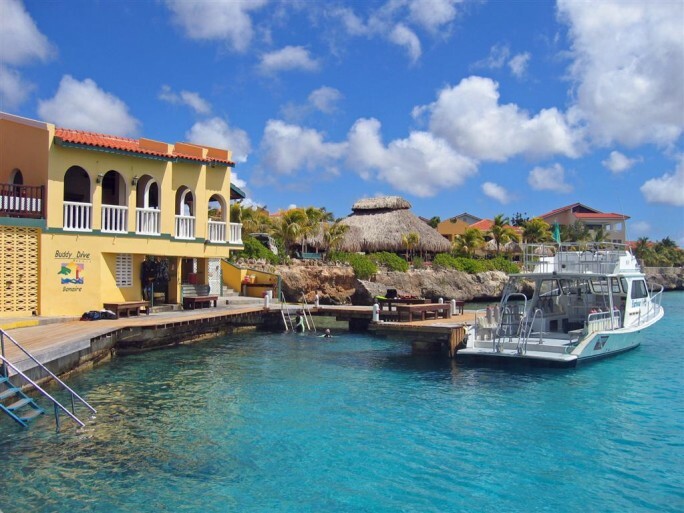 Bonaire has some of the best resorts that I’ve visited but Buddy Dive definitely offers the best overall experience. I first visited Buddy Dive Resort to experience their coral restoration program. It’s this cool dive program where you can give back and still get something in return. 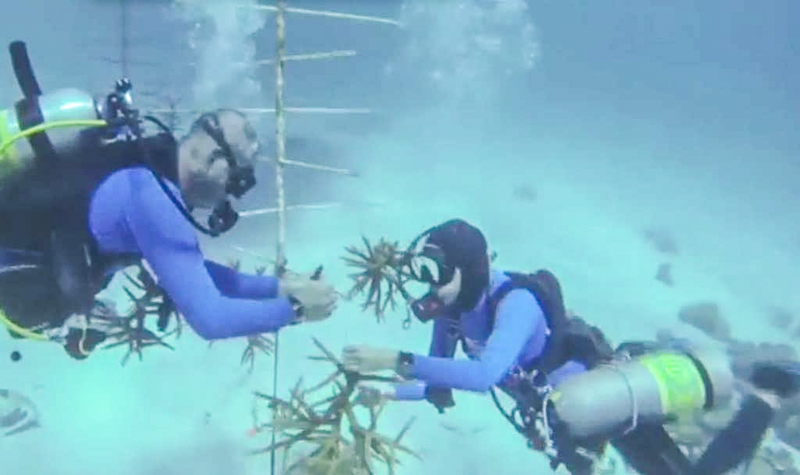 The project centers on the restoration of the shallow reefs by establishing a nursery and restoration program designed to cultivate staghorn and elkhorn corals. As part of the project, you can participate in restorative dives ranging from half a day to a week. You can even get a distinctive PADI certification as part of the experience. I explored the restoration sites at Buddy Dive Resort, witnessing the creation of life before my eyes, and this time I didn’t have to go through 13 hours of labor to make it happen. Each site had trees full of new coral and equally spectacular was the schools of fish swimming in and around the site. I wanted to be part of the process and give back to the ocean. 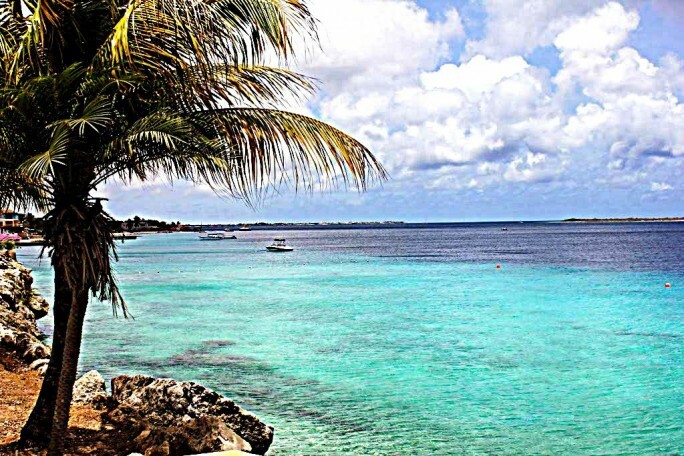 My next vacation in Bonaire will focus solely on diving. It’s going on the list. First PADI then the PADI Coral Restoration Distinctive Specialty Diver Course. I wonder if they have cave diving courses as well? Maybe I’ll need more time. After my restoration experience, I was shown around the resort by the marketing manager, Richard. 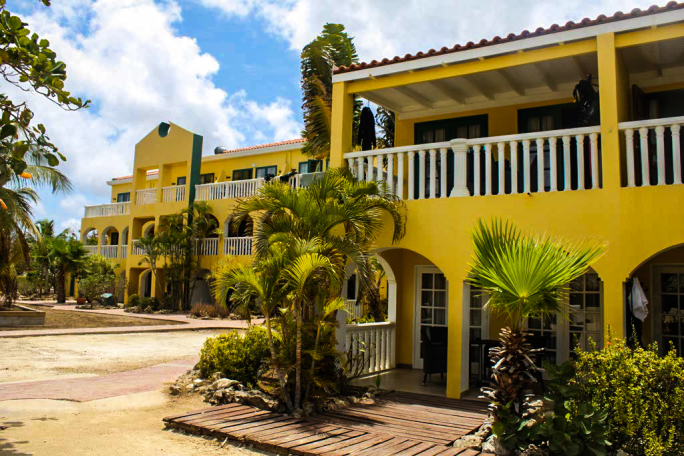 What could possibly make it stand out among the countless great choices as the best resort on the island? Their fully equipped kitchens in each unit were a good start, the 2 swimming pools and casual thatched roof, and the seaside pool bar added to the distinction. The amazing children’s programs like the “Buddy Rangers” Kids Club made me say “wow” and their full service dive center, including a drive-up tank refilling station, offered the ultimate diving experience. The resort’s intimate size and picturesque vistas were Heaven for divers and non-divers alike. From end to end, Buddy Dive Resort offers sometime unique for every visitor. The onsite dining was an indulgence worth noting on its own. Ingredients Restaurant is unique and personal. The food is based on Mediterranean cuisine and uses the basic principles of the French, Spanish, and Italian cuisine. 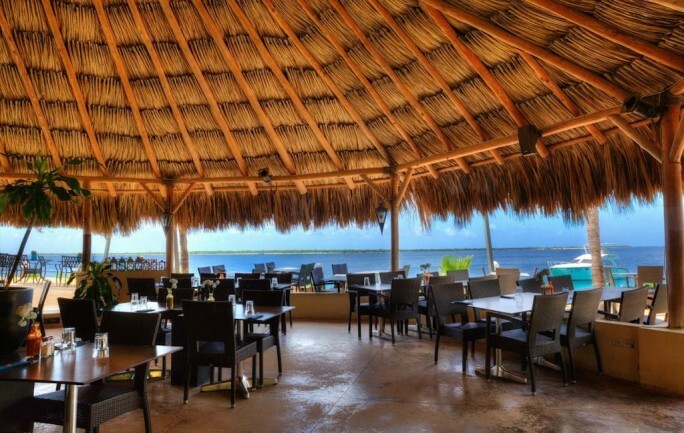 It is all served on the magical blue waters of the Caribbean Sea. The luxury, the food, the ambiance, and the staff all come together to create a celebration for the senses. I sipped wine and ate tenderloin while listening to the waves lapse below and watching the sunset. I was royalty in Bonaire or at least I was treated like it and put in the environment. 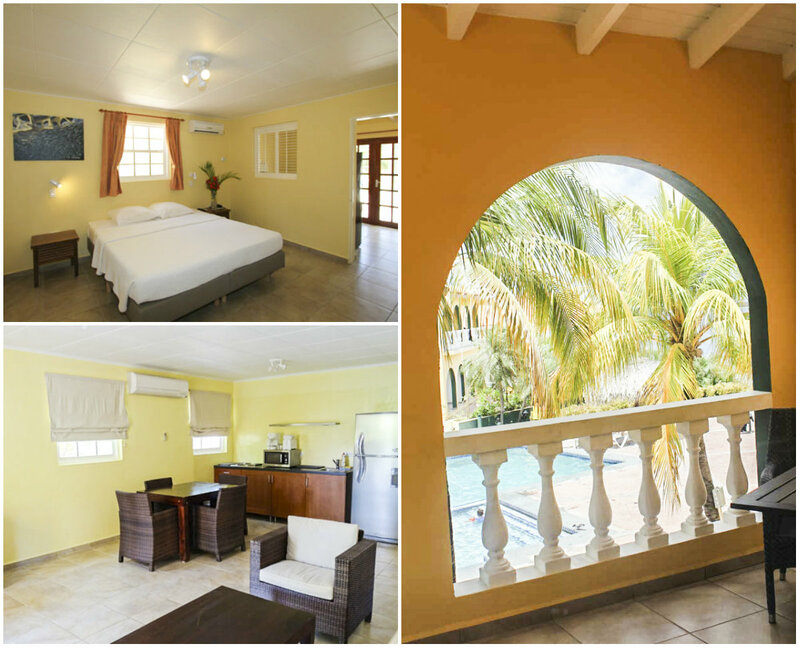 Buddy Dive is a natural paradise infused with the best amenities and luxuries Bonaire has to offer. You don’t even have to be a diver to fall in love with unbelievable options at Buddy Dive.